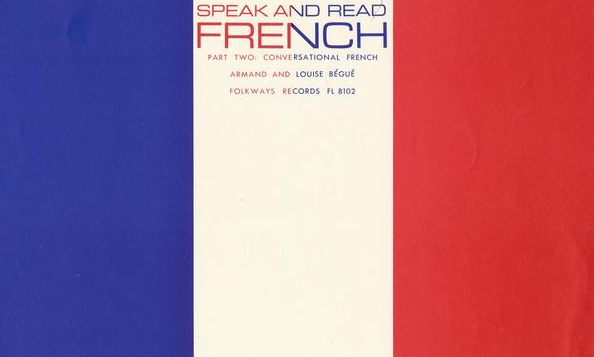 "This album is the first of three volumes of a French language course: Speak and Read French, created by Armand Bégué, a professor at Brooklyn College and his wife, Louise Bégué, in 1959. The recording, for basic and intermediate levels, focuses on words and expressions frequently used in French." "This album is the second part of a basic French language lesson developed by Armand Bégué, a professor at Brooklyn College and his wife, Louise Bégué, in 1959. This recording focuses on words and expressions frequently used in French." "This album is the third of three volumes in a French language course: Speak and Read French, created by Armand Bégué, a professor at Brooklyn College and his wife, Louise Bégué, in 1959. The speaker reads excerpts from great texts written by famous French authors such as: "Thoughts" by Blaise Pascal, "Discourse on the Method" by René Descartes and "The Wolf and the Stork" by Jean de La Fontaine." Find them all in our collection, Free Lessons in Foreign Languages.